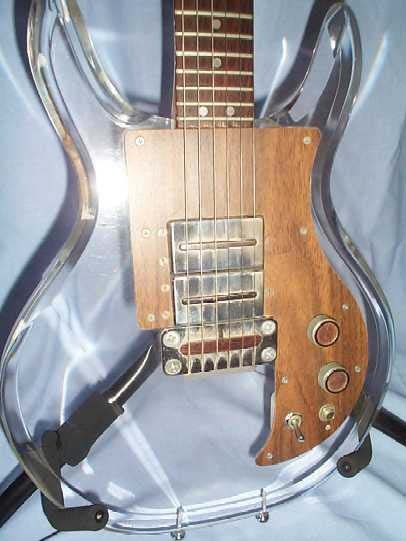 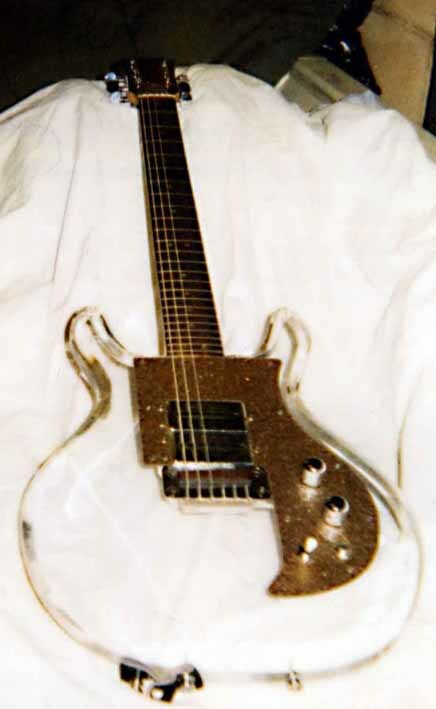 The Lucy (1, 2,3, 4, 5, 6) was a copy of Ampeg Dan Armstrong Lucite guitar, with a thinner neck and body than original, rosewood fretboard w/ 24 frets and inlays, fake rosewood pickguard w/ standard controls, had chrome/black pickups like the Mother. 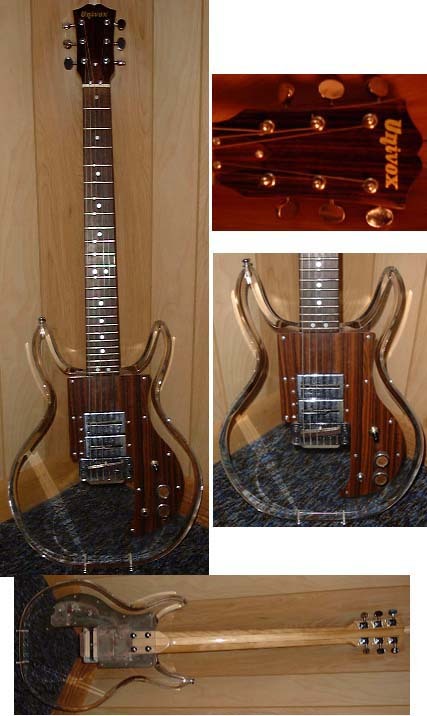 The Lucy (UHS-1) was originally $275 w/ case. 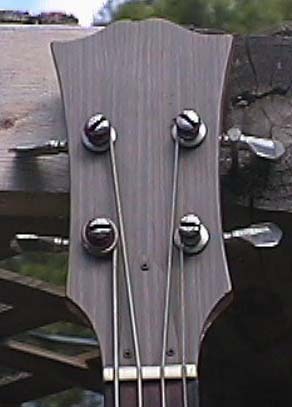 Available 1970-1974. 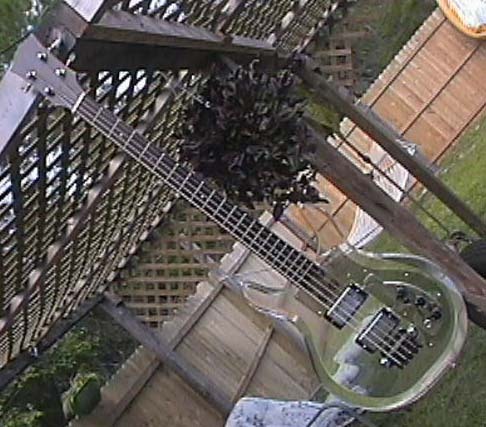 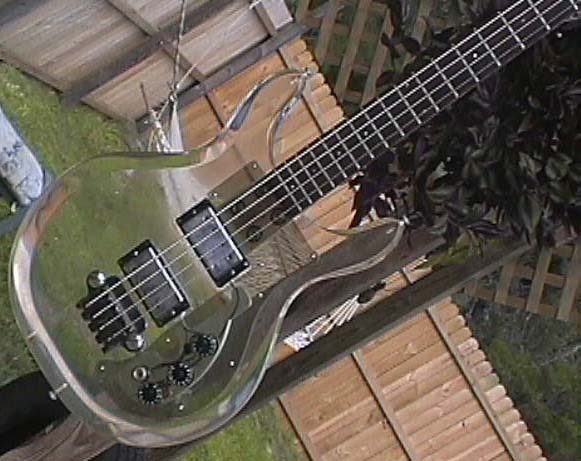 Also available as a bass ( 1, 2, 3) .